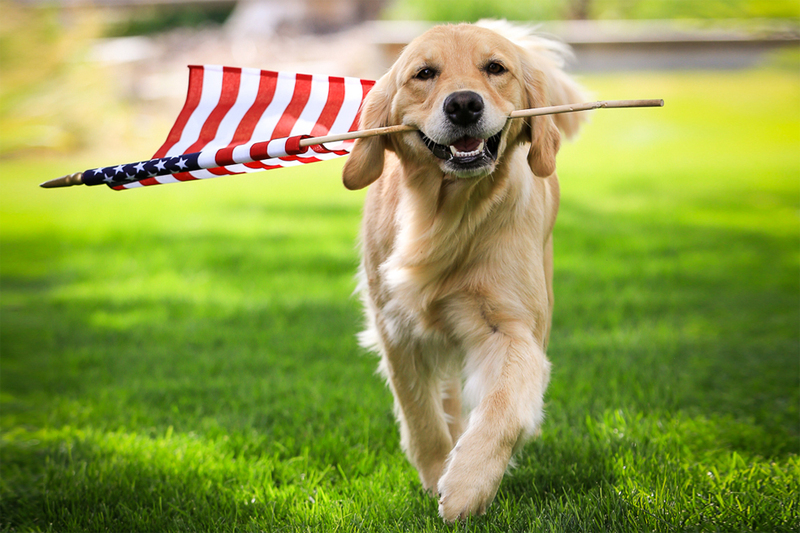 Did you know that more dogs run away on the Fourth of July than any other day? Dogs can easily be scared by fireworks even if you’re not the one setting them off. 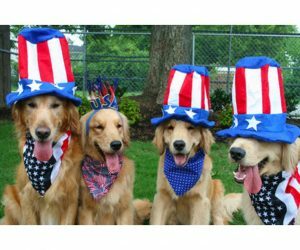 Here are some suggestions to help you keep your furry family safe and calm this Fourth of July. An active dog is a happy dog! Make sure your dog gets plenty of exercise during the day. 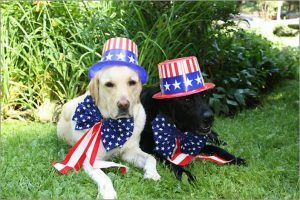 Plan to tire them out before the main event and allow them to have a safe space (a crate or other small, enclosed area) to retreat to once the fireworks begin. A friend’s home or doggie day care is the perfect space to keep your pet out of harm’s way if you won’t be home or if you’ll be setting off fireworks at your home. If your dog is unfamiliar with the location, bring them a few times beforehand to increase their comfort level. Knowing that they are secure is the first step to creating a plan that works for your family. Give your dog a frozen pupsicle or fill a Kong with frozen treats so that they have something to keep them occupied. You can also try out calming treats if your dog enjoys them. Put Terraoceana’s Acute Rescue Relief and Stress Relief in their water bowls and give them a few doses of these wonderful Homeopathic Remedies throughout the day to help keep them calm and less stressed. Fans, especially the noisy ones are also good to hide the sounds of the fireworks. Put the air conditioning on and keep all windows closed as it will help decrease the noise factor. Leaving music playing, especially classical or the TV on a higher than usual volume is helpful as well. If your dog really can’t stand the noise, there are several products out there to help calm him and reduce the noise he’s hearing. Mutt Muffs are great for working dogs and dogs who may be in a particularly loud environment for an extended period of time. Thundershirts and jackets are also a great way to help ease your dog’s anxiety. The AKC has several options, some of which are available on Amazon! There are also Vet-approved CDs with music to help keep your pet calm, something to try out on dogs of all sizes! If you currently have a puppy at home, start getting them used to loud noises from an early age. Create a routine that can help them understand what’s happening — unlike thunderstorms, fireworks have no warning signs for dogs and a routine can help them cope. There are numerous highly effective tracking devices that can be attached to your dog’s collar that can help locate him quickly. Microchipping is also recommended in case their collar somehow breaks or is removed. The most important thing to do is to keep calm and act fast if your dog does get lost on the Fourth of July. Make sure everyone in your neighborhood knows, call local vets, shelters and post on your town’s facebook lost and found pet pages the moment you know they are missing. The best way to enjoy the holiday celebration is to ensure the safely of your beloved canines by being prepared in advance.